Yesterday I was at Pink Poppadom, a romantic restaurant housed in Hyatt Bangalore to witness the ongoing “The Grub Fest” – A street food festival with a twist of Asian flavours to our own Indian food & first of its kind. 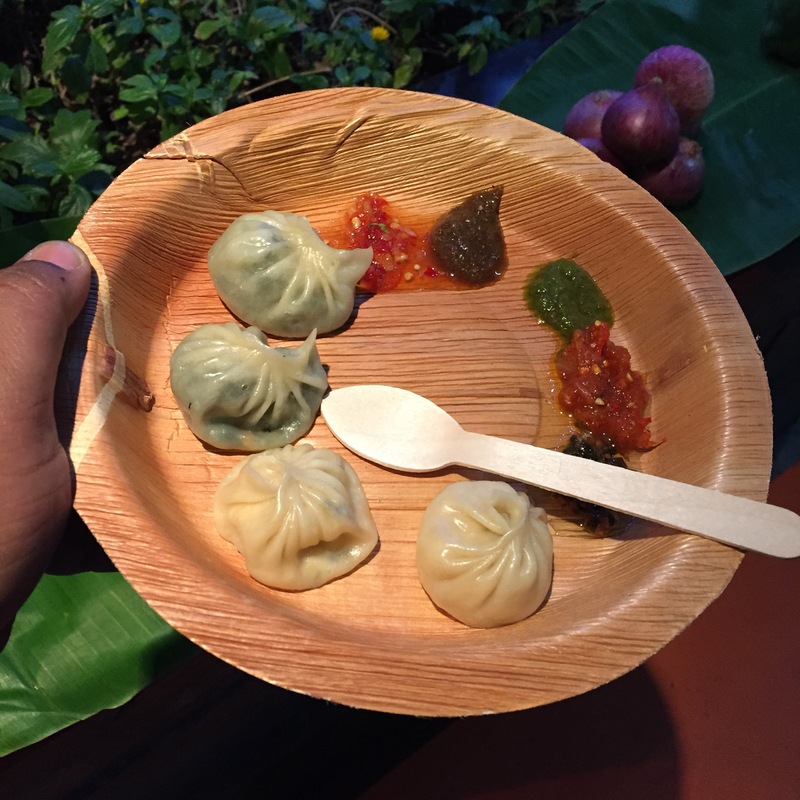 I have visited several street food festivals till date and I felt this one is unique and does a justice for the money you pay. Chef. Amit joined recently moved to Hyatt Bangalore. He is the man behind this festival. Believe me, his presentation skills are outstanding and certainly knows how to take care of his guests. I was totally impressed the way he demonstrated the concept behind this food festival. The decor at Pink Poppadom certainly doesn’t require any introduction. Since it comes under a romantic restaurant category. The overall ambiance gives a positive vibe to any individual. Our dinner started with Chinese Bhel, it was good with nice Asian flavours along with schzwan sauce. Next dish was Betel leaf & raw papaya chat, I couldn’t handle the flavour of Betel leaf. However, my fellow friends loved it. 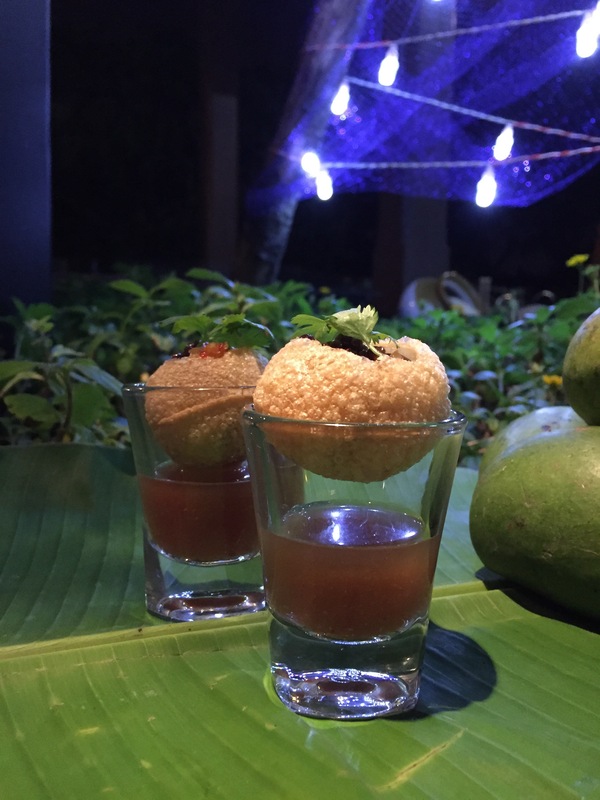 While enjoying my Chinese Bhel, Nam Gim smoked fruit Pani Puri arrived, this was just fabulous & the smoked flavour paired perfectly with our desi Pani. For the first time, I was too eager to try all the dishes in every counter. So, I was trying small portions. Chef. 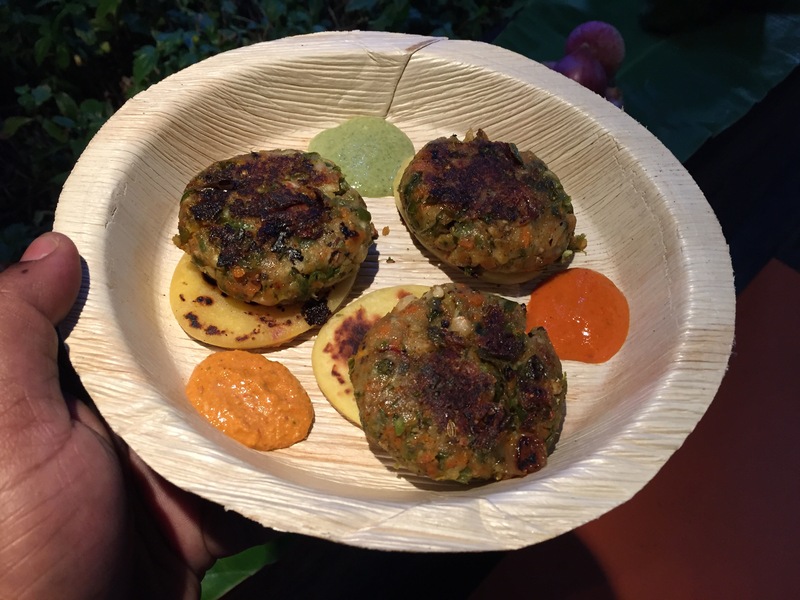 Amit walked towards us holding a Jalapeño cheese Aloo Tikki topped with creamy cheese & grated raw papaya, carrot & beet. This was the showstopper I would say. I couldn’t wait more to try out Momos stuffed with Spinach & Grated Paneer. I am sure people will change the perception about Momos after trying this twist. As few people don’t like vegetarian version of Momos. Next dish i tried was Paneer Tikka & Veg Kebabs. 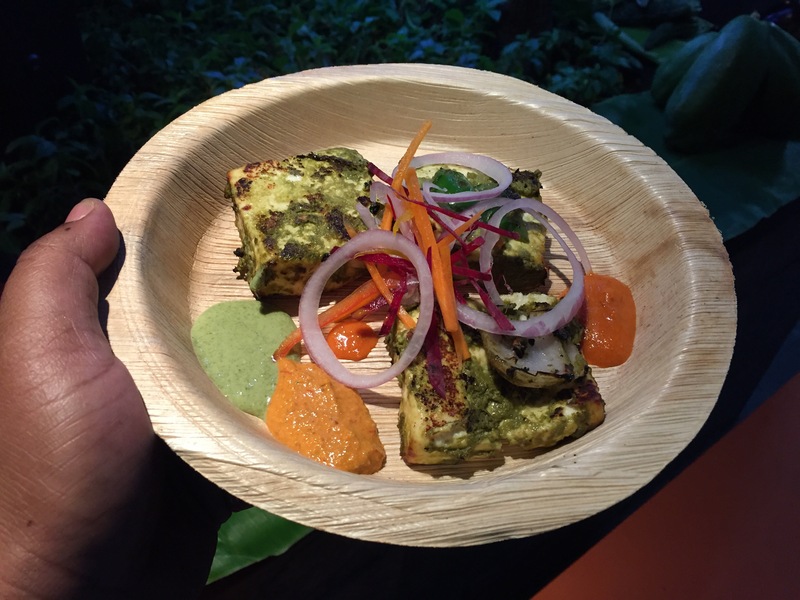 Paneer was soft & marinated in a Thai green paste. It was again unique & felt paneer cubes could be little thinner. Kebabs had a flavour of lemongrass, galangal & tasted decent though. Here comes our Dosa stuffed with goat cheese & beet infusion. Somehow, I couldn’t take that strong flavour of goat cheese. Well, it’s not over yet! There was a Appam counter too, where I tried Appam with Mushroom Korma. The Korma was again a twist with an infusion of Thai green paste & lot of cream. I ended up having 2 Appams! There was a main course as well. But I took only the Asian Pulao, it was decent. There were Salad & Desserts too! Interestingly there was a fruit sushi, which was again decent. 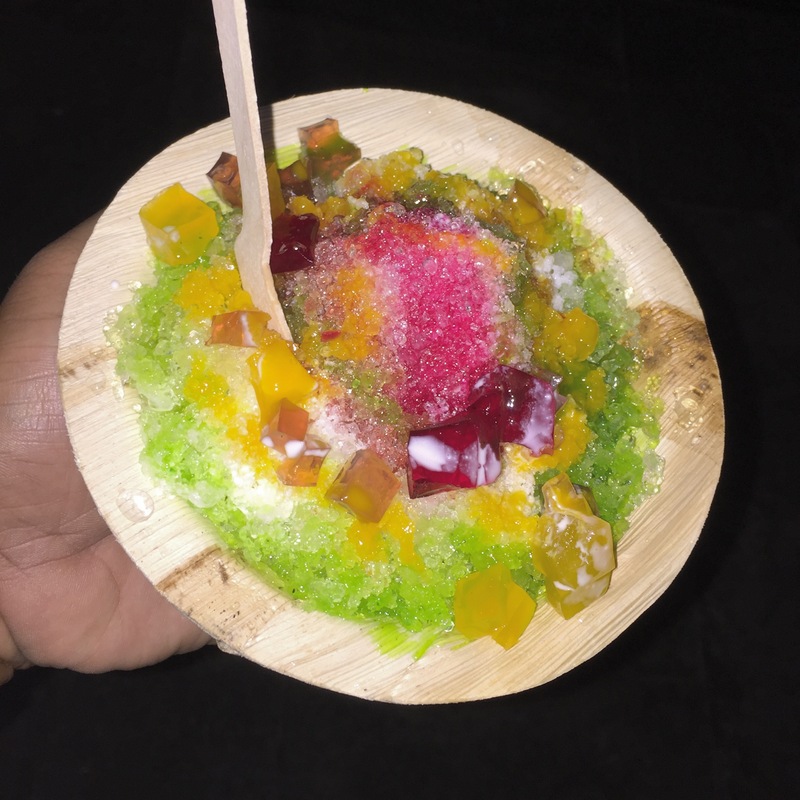 My dinner ended with Ice Kacang, a Malaysian dessert also known a Ice Chat in India – Crushed Ice topped with Coconut Milk, fruit syrups, chia seeds and Jellys. Tried this for the first time & loved it. It was a satisfied dinner & thoroughly enjoyed every dish! So it’s your turn to visit Pink Poppadom for this Grub Fest! The price of this is 1699 All Inclusive, which is definitely a steal at places like Hyatt. Disclaimer: This post is completely based on my personal experience and not influenced by anyone though it’s an invite. Copying content or photos without permission will not be entertained.